Charlottesville is my hometown. I grew up there from the age of seven, went to the public schools, was part of the active Jewish community as a kid, a UVA student, a young working adult. After last weekend’s events, I’m still struggling for what to say. The Jewish recipe for fearlessness and a decent society is a lot different from the “blood and soil”, “exercise your 2nd Amendment option” and other noxious fantasy slogans of the radical right, and it’s also different from the laissez-faire governmental and police attitudes that led to the violence in Charlottesville. Does it sound less believable than “blood and soil”? Less heroic? Which world would you rather live in? 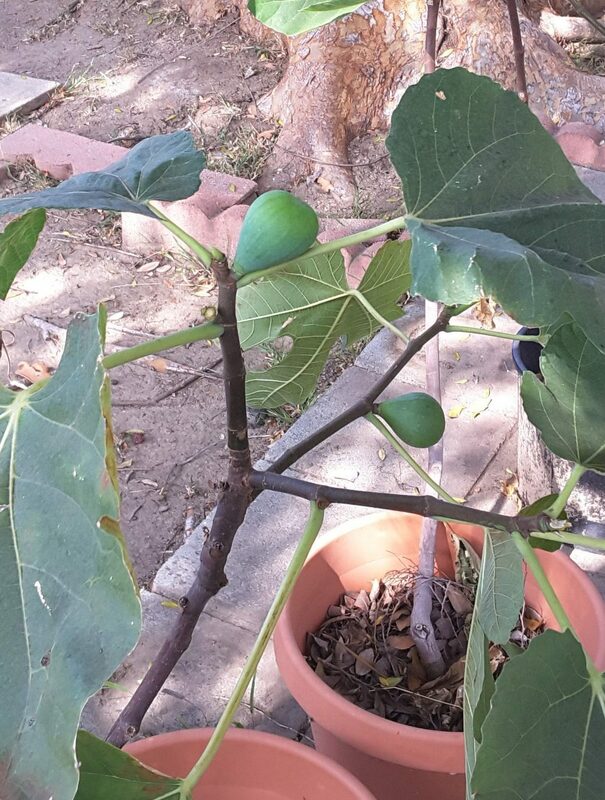 Vine and fig sounds like a pretty simplistic recipe–only two ingredients, maybe three or four if you squint–vines, figs, sitting in your own garden without being disturbed or threatened. Some people have confused the Vine and Fig model as passive, cowardly, sheltered, privileged. Not so. Ask anyone who grows grapes–or any food crop– for a living. To take it literally, growing plants for food successfully requires hard work. It takes looking ahead and choosing your actions today to improve your future–will you have plenty or will you have waste and starvation? Will you get to eat? If you forget to water–no crop. Overwater–rot at the roots. Plant at the wrong time of year, no crop. If you don’t transplant seedlings, your plants don’t grow and you get a late crop or none. You sure won’t get wine. I’ve learned these things the hard way in the microcosm of my own backyard by trying them out. I think they hold some lessons for society as well. Everything that happened last weekend was magnified to national and international coverage one way and another. The news has been chewed and rechewed and comes down to the ugly fact that Virginia’s government, its laws and its court system failed all its residents badly, as did the federal judge who accepted the ACLU’s argument that out-of state white hate groups’ claims to first and second amendment rights and the right of free assembly should somehow outweigh the fundamental rights of local residents to be safe in their own community from threats of violence and harassment. It’s not just the Confederate statues, which were the bald excuse. It’s not just the open-carry laws and the confusion of hate speech with free speech, for which the ACLU has taken one in the eye over the violence in Charlottesville and said they’re not going to continue defending hate groups for that in places like the Bay Area (where they’d have a lot less chance of winning, or is that by the bye?) Those arguments subverted the value of the first and second amendments as civil rights and turned them into excuses too. It’s the favoritism and the vastly unequal application of the law. By any reasonable definition, the KKK, neo-Nazi and other white hate groups are gangs. They may not be running drugs or prostitution rings, but they’re certainly peddling open violence and amassing guns–plus explosives, plus caustic chemicals, plus plus plus. They’ve done most of their recruiting, paying, supplying and organizing online. It doesn’t sanitize them. The white hate groups are not secretive about their aims to commit acts of violence and intimidation against minority groups and whole towns. Richard Spencer called on his online followers to harass and threaten a woman in his town in Montana a year or so ago because she’s Jewish. They’re gangs, and they should have been treated like gangs by the police, the city of Charlottesville, and the federal judge who I sincerely hope will have to account for his callousness in the ruling he gave. Gangs do not get unfettered right of free assembly. They don’t get to amass weapons and carry guns anywhere they feel like and point them at whoever they feel like. They don’t get to throw caustic chemicals at people whose towns they invade or deface people’s property. They don’t get to run people over and swarm around houses of worship during services, guns in hand. Regional police and sheriff’s department networks typically collaborate extensively on gang-busting operations, often with state and federal help. Panting to participate–it’s pretty high-profile. Unless the gangs are white, conservative, Christians, khaki-pant-wearers, perhaps? Unless the targeted victims are not? Virginia gave the outside white hate groups a free ride and a red carpet, over the objections of Charlottesville residents, the University of Virginia and the city’s municipal government, until something bad enough actually happened. As it was bound to–who the hell couldn’t have predicted that white hate groups carrying guns and torches might actually commit acts of violence they’d been saying they wanted to commit? How else would it add up? Last weekend, Charlottesville’s Jews were singled out by several of the out-of-town haters on Friday afternoon, before Friday night services and apparently in preparation for the march the next day. Three of them stood just outside the synagogue, sieg-heiling and waving semiautomatic weapons, pointing them at the doors several times. The synagogue had hired an armed guard, something they haven’t done regularly but which is standard for my congregation here in southern California, where Jewish community centers and synagogues have been attacked by gunmen in the past 20 years. Saturday morning, Congregation Beth Israel had to usher its worshipers out a back exit away from the larger and riotous parade of the white hate groups, who were carrying even more guns openly as they swarmed through the downtown blocks and marched toward the synagogue’s front doors shouting death and destruction to Jews. The police were not visible on the scene. Yes, they were occupied elsewhere with active casualties, especially after Field drove his car into the crowd, but a token presence is one of the more effective tools our local police force lends us in Pasadena for as a deterrent. Even one or two police cars are an indication that the law is taking notice and that arrest is a possibility. There appeared to be no major collaboration with other towns to send enough police to help handle the demonstrations. No significant restrictions on the permit terms. No other strategies that might have helped Charlottesville create a serious deterrent to violence. The police barriers were sufficient only to protect the rallyers, not the townspeople. That’s a really bad message to send. If the out-of-state rallyers had been unarmed African Americans, or protesters demonstrating against violations of minority and women’s civil rights by the government, or taking away healthcare benefits, you know the state and federal response would have been a lot different. Protesters and reporters who confronted Republican congressmen or federal appointees earlier this year have been assaulted and arrested for “shouting,” asking questions at town hall meetings, even laughing. This has been going on ever since–well, for a very long time in a wide variety of excuses and guises. Open-carry gun laws and a long run of reactionary Republican leadership at the state and federal level have made it a lot worse, though. I grieve for Heather Heyer and her family, and I’m grateful for hers, and her mother’s, forthright bravery. I grieve for the other local people who were injured by the rallyers last weekend, and I’m grateful for all the people who stepped forward to counter the white hate rally. They don’t deserve to have a bunch of out-of-town louts (or local ones) marching around brandishing guns and torches and harrassing them, using some generally ignored park statues as a poor excuse for the occasion. However, the specific insult and harm that had already been done to the African American and Jewish communities in Charlottesville has gotten lost or ignored at the national level of op-eds and commentaries, and some of them have actually had the nerve to blame the African American residents and Charlottesville’s deputy mayor for the whole fracas because they dared to object to Confederate statues in their public parks. That’s shabby and fundamentally dishonest. Last night’s Charlottesville city council meeting was disrupted by residents angry at how badly the city, the police and the mayor failed them. Police arrested three of them for disruption, but the protesters were numerous enough to insist they be released or they wouldn’t let the council meeting continue. The three were released. Mike Signer, the mayor, came in for the loudest blame, and shouted back that he tried, the city council tried, but the federal court made them allow the white hate rallyers in. Right before the inauguration, a woman I didn’t know wished me a happy new year as we passed each other in the library. Something about the cautious way she said it made me wish it back to her with a wry twist we both acknowledged: neither of us felt we had much to look forward to in the coming administration, and both of us were worried for our families, our children, our community, ourselves. “We’ll keep on,” she said and I nodded. Both of us were a little grim. Ahem! As I was saying, you have to get back out there and see how your neighbors are faring and talk to them. If you’re not naturally extroverted and you work alone (double-ahem! ), it’s even more important to take a breather and reconnect in the real world. Despite my wariness about the immediate future of American government and my repeated incredulity at the daily headlines, there is reason for hope in this country. All kinds of people, business leaders and employee groups, religious leaders and congregations, public officials, judges, entertainers, and most of all, ordinary citizens have started speaking up and donating money and time to support the safety and rights of threatened and persecuted minority groups, whether their own or someone else’s. Citizen or not. Same religion or gender or race or not. California’s not the only place where this is happening. If it can happen in North Carolina, in Kansas, in Pennsylvania, in Texas–it can happen anywhere. These surprising oases of sanity, civil contribution and decency give me heart that we can take steps in our own neighborhoods and states to protect the progress and community we’ve recovered since 2008. But I do have to ask, is there really still room for a food blog like mine? Is this what I should be doing this year? Can I help anyone by talking about food and trying to seek pleasure in it when we’re all worried about bigger things? It’s taken me four five whole months to get to the point where I can say I think so. A few weeks ago, still wondering, I went to Shabbat services for the first time in a while and tried hard to find heart and figure out what to do with it. And I did. I looked around at my neighbors and friends, I joined in the prayers and singing, sat with my husband, said kaddish for my brother and father and grandmother, whose yahrzeits all fall in the same week, got an aliyah, heard my daughter chanting the longest possible maftir in the book (usually we’re tawkin’ 3 verses at the end of the Torah reading, this time it was 20-plus). I found myself thinking both how proud I was of her, how beautifully she sang it, and how rusty my Hebrew reading had gotten through neglect these past months. Being with my community and my family, seeking something not posted in the daily news headline deathspiral, put me in a more expansive frame of mind. I decided not to let the current occupants of the White House and their make-America-hate-again tactics continue to ruin my or my neighbors’ life and drain all the color out of our days. I decided not to hide under the table–it was too much like duck-and-cover, and that’s only good for ducks, and only if it’s Wabbit Season. We can be better and more powerful together than our current representatives in Washington think. Although I would personally like to thank MY congressional representatives, Judy Chu and Adam Schiff, as well as my senators Kamala Harris and Dianne Feinstein. Keep doing the right thing, and Chazak v’Amatz (strength and courage). Living well and supporting each other is the best revenge. So anyway, back on track. Because Civility 101 demands community, and community includes good food. Even if it occasionally has to be served up with a pitchfork. And, as I mentioned somewhere up in the wilderness above, it’s Pesach. Time for a taste of freedom. Not a good week. At all. Even Garrison Keillor is jumping in and warning the Rust Belt states that they’ve made an extreme mistake that will keep them down (and they’re probably not listening or aware that he’s even left NPR’s “A Prairie Home Companion”) and prevent them from enjoying anything but more Hamburger Helper and Mac ‘n’ Cheese in all its fabulously innovative variations for the next ten years or so. And how do I explain this development to my daughter, who came home from a high school election night event as ashen-faced as we all were? Certainly mac ‘n’ cheese, posed in this case along with brussels sprout gratin and leek casserole as fabulous Thanksgiving options (and so transportable! ), was at the top of the New York Times food article server to show alongside all the disaster inch-high election result headlines and the not-quite-mea-culpas for having called it wrong for months. I’ve never encountered something so unappetizing in my life–at this point, MnC looks much too much like a certain infamous hair don’t. And despite blog after blog and cookbook after cookbook extolling the midwestern ecstasies of MnCs in every possible not-gonna-happen-because-you-can’t-get-roquefort-or-chervil-in-Middle-America, I find myself in revolt. Heartened by yesterday’s thousands of young protesters taking to the streets, but in revolt nonetheless because street protests aren’t going to be enough to solve this mess. So yes, I’m going to be alarmist for a few minutes here. Maybe more if I get on a roll. Every prospect for a decent, diverse, civil and prosperous society is about to be thrown under the bus by Congress and the president in two months, if the bloviators have their way. Mac ‘n’ cheese is the least of it, the most trivial and trivializing point. I’m not trying to be elitist here–more like, why favor what is essentially a flavorless stodgy heart attack on a plate and then whine about high drug prices? But the anti-trade rants that seem to have won over the red states are a damn good place to start. I’d just like to point a few items out to people who already have a limited selection of food at their local supermarkets because they live in small towns across the country (and that includes plenty of us in California as well). What the hell are us cooks, foodies or no, wherever we live, going to do? We have two months to stock up on actual spices that didn’t come in a tiny, uptight, never-to-be-used tin box or jar as part of a wedding set from however many years ago. Because most spices come from…overseas. That’s right. Or Mexico. Thanksgiving, utterly whitebread and middle-American as it so often seems, requires spices. Pumpkin pie is not the same with “pumpkin pie spice” artifices developed in chemistry labs in New Jersey. It needs cloves. And ginger. And cinnamon. And nutmeg or cardamom or both. Also mace, if you can get it. Sweet potato pudding requires crushed pineapple. Which comes from Mexico or worse, in the eyes of our next president, Hawaii. Peppercorns–India, mostly. Limes, Mexico again. Where will all the Margaritas go? Also many varieties of hot peppers. And don’t forget the two great American drugs–coffee and chocolate. Both imports from countries the newly elected right-wingers would like to ban altogether. African countries. Arab countries. Latin America. Indonesia which is, yes, primarily Muslim. Recreational marijuana, which almost anyone can grow in the US, pales in comparison and everybody knows it. More disconcerting to me for most of the year, sesame seeds. Tehina requires them. All Arab and most Israeli and some Caucasus/Persian food requires them (all those amazing cookbooks the past couple of years and this fall season–Zahav, Samarkand, Persepolis, Balaboosta, you name it). Also Chinese food. And Korean. Bagels wouldn’t be the same without them. Sesame seeds are grown primarily in Ethiopia and are traded through a variety of countries on Trump’s bloviating rant list. There’s more. Cookware–China. Almost all of it at this point, with the exception of Lodge cast iron frying pans and whatever Shinola decides to produce in the way of an orange-and-tan hipster le Creuset wannabe with detachable split calf handle covers or whatever. Wonder how well Shinola’s gonna be selling in Brooklyn now, or whether discerning New Yorkers will cut them a break and realize Detroit voted blue, it was all the surrounding Michigan counties that clutched up. The worst hit of all, probably, may be for print. As in, cookbooks. It’s well known that our next prez does not like to read much and may find print expendable (and he’s no fan of the free press either). Most American publishers print their hard copy books of all kinds in China and Singapore and ship them back to the US. So do many magazines and brochure and business card companies. DVDs and Blu-Ray. All that stuff–made in China. Although I would welcome a return to American printing for major publishers, retail prices for everything would probably go up. A lot. And a lot of trees would be killed here unless we can get that elitist tree-hugging recycling thing going properly without sending all our paper waste to China for processing. And, as I say again, coffee. And chocolate. If there’s a shortage or an embargo, serious chocolate may disappear in this country and be replaced by stuff about the quality of typical Halloween candy, most of which is brown without noticeable chocolate content. The two cookbooks most blogged about this fall are MnC-like in ways I hadn’t expected from either of their authors. Then again. probably both of their authors were looking for a more united state of the Union when the books came out. Mario Batali has decided he’s the new Jane and Michael Stern and surveyed some regional American recipes he thinks are worth putting in a cookbook. There are, contrary to his Italian-focused cookbooks, almost no vegetables and an awful lot of bland-looking starch dishes. 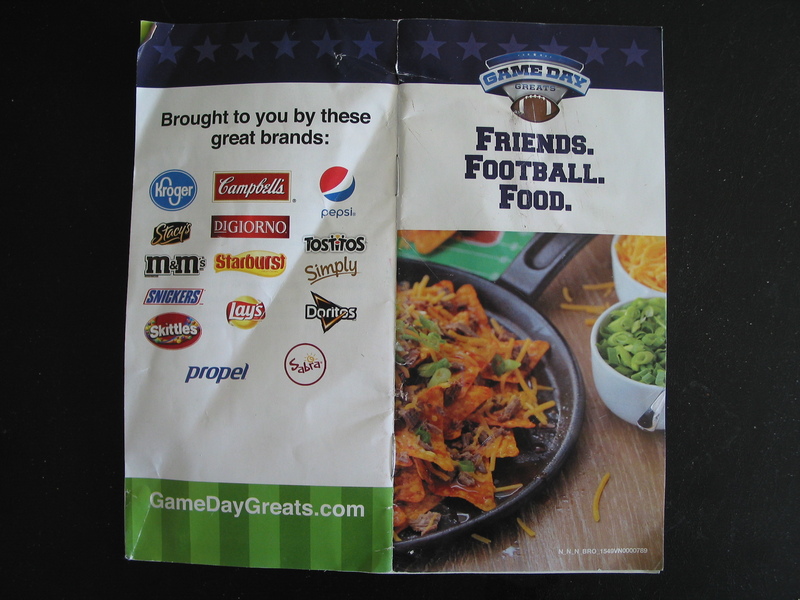 On a quick flip-through, none of it looks exceedingly delicious, to be honest with you. Then there is the self-consciously infamous Anthony Bourdain doing his Hunter S. Thompson-as-foodie act with Appetites–this one’s also sort of American-ish, and focused on “dad food”. The prose veers back and forth between “still badass in his heart” and handy dad tips you never knew you needed because “it’s all about the little girl,” who’s age nine or so at this point. Things like how to fix a broken hollandaise sauce for Eggs Benedict and not to bother with risotto for birthday parties for nine-year-olds and their friends. A little surreal–what typical American dad really aims for hollandaise sauce, broken or un-? To make up for the mawkish sentimentality, the photos are unnecessarily aggressive: a combat helmet filled with Korean Army Stew, rice noodles slopped over the side and onto the table (a Lucky Peach original motif). A cotton gi with bloodstains from his boasted-about workout routine. Bourdain, sitting on the seat of a toilet in a stylish and thankfully clean bathroom, and even more thankfully fully clothed and pants zipped, but eating a sausage and pepper sandwich on the pot. Is it necessary? Is it ornamental? Is it even particularly entertaining? No. It’s overshare and trying a little too hard to stay provocative. The real puzzler for most food journalists has been how he conned Eric Ripert, head of Le Bernardin in NYC and also the author of the well-received recent memoir 32 Yolks, into posing for the gonzo photographer with pale gravy dribbling down his universally-acclaimed-to-be-handsome chin, like a 6-month-old fed something he or she doesn’t care for. The expression on Ripert’s face tells it all–dismayed, dyspeptic, slightly helpless and trying to be a good sport in the face of his friend’s over-the-top enthusiasm and that of the photographer. It is not a solid advertisement for the supposed deliciousness of Bourdain’s biscuits and gravy recipe on the opposing page. All of which…doesn’t give you a lot of hope for serious food prospects come January 20. We have two months to make a point and also put up some reserves so our kitchens don’t devolve into flavorless beige wastelands of mediocrity. How do you grow sesame seeds in your back yard again? Julia Moskin’s latest “Recipe Lab” in the New York Times food section revisits one of my (cranky, irascible) pet peeves: the “healthy” muffin. She claims her version, filled with an expensive and lengthy list of the latest buzzword ingredients and yet supposedly lighter-textured than most bakery offerings, is healthy, always a warning sign, especially when paired with the instruction to make sure it’s well-leavened and to use “unprocessed” oils. These are code words for a heavy dose of baking soda and baking powder on the one hand and coconut oil, the newest darling of the hipster food world, on the other. But–benefit of the doubt–I looked at the recipe and scrolled down to mouse over the nutrition stats. They’re provided in a popup link you can’t copy, with a very faint “i-in-a-circle” watermarked icon below the ingredient list. Not a good sign, generally: hiding the nutrition stats signals that they’re kinda suspish, or at least unflattering. But okay, at least they’re posted here. Something didn’t sit quite right with that. I looked up at the ingredient list. Sure enough, the fat was provided by 1 1/3 cup of coconut oil. Yick. But never mind. The point here is that Edamam lists the saturated fat at a very improbable 1 gram per muffin. There is–being kind about it–no way this is correct. The only thing I can think of is that Edamam used the soybean or canola oil option for the calculation, but why would that be? Coconut oil is listed as the much-preferred fat. And it’s got more saturated fat per gram than lard. About 82% saturated fat by weight, if you check the most reliable lab analysis at the USDA National Agricultural Library’s nutrient database. And actually, the mono and poly stats suggest something closer to olive oil than soybean or canola. The correct calculation for 315 ml of coconut oil is 260 grams of saturated fat for the recipe. For 20 muffins, that’s almost 14 grams of saturated fat per muffin, not 1. And 14 grams is pushing the recommended daily max of 20 grams of sat fat for a 2000 calorie-per-day diet. Just for a muffin. Given the nice way the New York Times provided the grams as well as cups and spoons measures in the recipe, here’s what I came up with, direct from the USDA NAL database and averaging a bit for the different options between apples and carrots and between walnuts and pecans. Total sodium: ~4670 mg, per muffin, 234 mg.
And yes, it’s kind of a pain to navigate all the USDA data chart by chart, ingredient by ingredient, put in the actual amounts in grams, have it recalculate the whole chart, add the totals up nutrient by nutrient, and then divide by 20. It would be so nice to find an accurate and complete free recipe-style app to pull all the relevant data and stick it in a single spreadsheet. The myfitnesspal.com recipe calculator is about the best I’ve found so far, but it’s not as complete, and neither unfortunately is the USDA’s Supertracker calculator, as far as I can tell. How did Edamam and the New York Times Food Section do? The sodium, though a bit much for a single bready item (4 t. baking powder, 1 t baking soda and half a teaspoon of salt on top of that, plus whatever’s in the buttermilk), came out about right at 260 mg (I got 234 per muffin). The carbs are about right too, if kind of a lot. Sugar at 19 grams is about half the total carb and makes it no great bargain (not to mention, brown sugar plus maple syrup? cha-ching, and the maple flavor probably disappears with all the other stuff. Kind of a waste.). This is still a pretty cakey item, despite Moskin’s protestations to the contrary and all the grated carrot and blueberries and multigrain ethos. Edamam’s calorie estimate is a bit low by 40 cal per muffin. You could probably live with that. But you shouldn’t. Because with the trendy, expensive coconut oil option, the published saturated fat estimate is way, way, way off. Way off. Bizarrely off.